Internet users have very short attention spans and they seem to be getting even shorter. A click to your website is half the battle, however, your site needs to be responsive and load quickly or you lose out. This is especially true on mobile devices, as they offer advantages beyond desktop computers. At Webfox Marketing, we design PPC Ads to reach prospects whenever they are online, on whatever device is in play. And by creating engaging ads/landing pages relevant to your targeted customers, consumers can make better decisions that ultimately improve conversions. Once a prospect has found your offer, then next step is engagement that (hopefully) leads to action! Call to actions (CTA) are an invitation to consumers to respond in certain ways, not just to buy. They connect by making opportunities available such as: consultations, viewing other web pages for additional information, requesting information, clicking on apps for newsletters, registering for websites, starting a download, or adding a product directly to a cart. CTA’s are primarily known to increase response rates and influence decision making. And time is money! If you achieve those coveted top spots within search, then bits of extra information attached to your PPC ad can reap benefits. These may include maps pointing to a business location, product pricing and rating, sitelinks for added information, or a link to specific offers on your website. It can also include special incentive deals for certain times of the year or holidays. Integrating Facebook ads is another great strategy to complement Google/Bing advertising. By expanding your advertising mediums, you can tap a broader audience and allows advertisers to reach consumers with key words, location, and more. Constant analysis will ensure proper optimization and conversion. 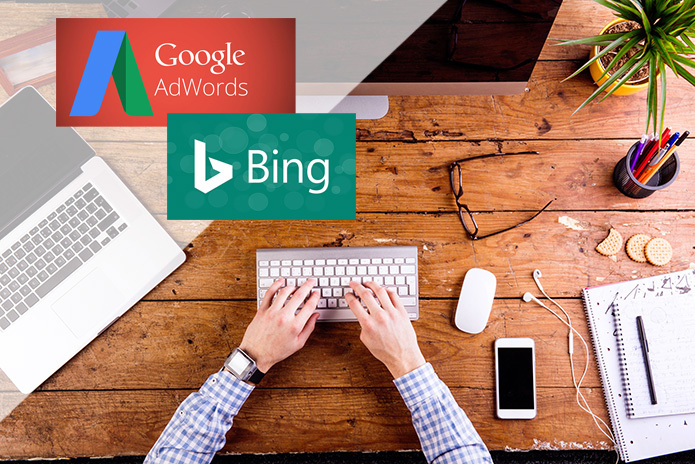 There are many opportunities out there to utilize PPC to maximize your connections and interactions with customers, which is always good for business. If you have any questions on how to improve your search engine optimization, PPC marketing campaign, content marketing strategy, or website landing pages, please give us a call. Our website design & services company is located Michigan – we serve our local community and beyond!